Learn everything you need to know about cruise destinations under Avid Cruiser’s Port Profiles section (you’ll find a tab above on the navigation bar). Each week, we’ll provide one or more port profiles for those are planning trips or for those who need inspiration to do so. Today’s feature, Harwich, England. 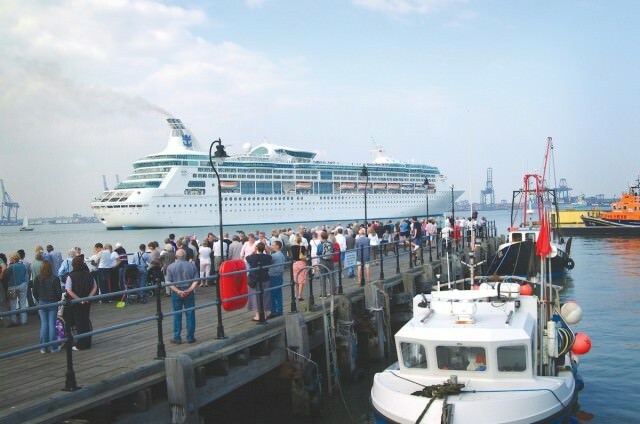 One of the factors behind the popularity of Harwich as a cruise port is the town’s proximity to London. The UK capital ranks high on the must-see lists of many cruisers – and that’s a small surprise. An icon for many travellers, London’s list of attractions is a long one, ranging from the “classical” landmarks (The Tower, Westminster Abbey and Big Ben, to mention just a few) to a host of more niched experiences. London will always be London. If you disembark from a cruise ship in Harwich, however, there are a number of reasons why you should take the opportunity to experience this coastal town in northernmost Essex. One of those reasons is the architectural heritage of the town, which was built according to a grid pattern. The old part of Harwich is a conservation area, with many of the buildings erected in the Middle Ages (though most of the buildings are now behind 18th century facades). Harwich received its city charter in 1238. The town located at the mouth of the estuaries of the Stour and Orwell rivers can trace its origins farther back in time than that, however. It has been recorded that a chapel existed by the year 1177. Already from the outset, Harwich was considered important from a military perspective – not least because the port was considered the only safe anchorage between the Thames (south of Harwich) and the Humber in Northern England. The town’s many fortifications are a reflection of the significance attributed to it. And, speaking of history, cruise passengers sailing from Harwich will be in good company: The famous seafarers Drake, Hawkins and Frobisher all sailed from Harwich. And in the early 17th century, the Mayflower was a frequent visitor in the port. Read Avid Cruiser’s full Port Profile featuring Harwich.